A busy group of black bears fishing on a peaceful river. The one in the foreground has caught a dolly varden fish. 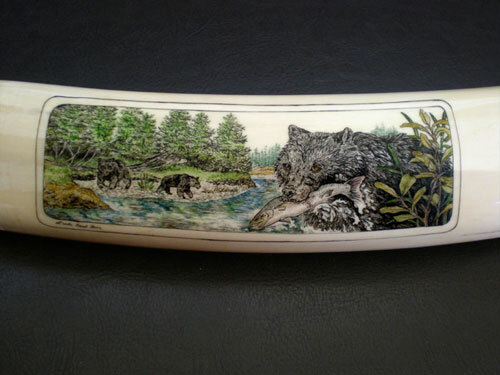 This walrus ivory art piece was brought back from Alaska by the collector. The scene was designed around an experience he witnessed on his vacation. Scene is approximately 5” wide.